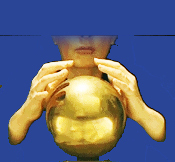 I use tarot cards, astrology and metaphysical experience along with psychic insights towards answering your question or assist you with a challenge. I am very quick and communicate clearly, with compasssion and respect. Thank you for the clear and accurate reading. i don't feel like she is really intuitive i feel she gives a general reading and her opinion which i don't pay money for an opinion i can just talk to one of my girlfriends don't waste your money! Eve Light's readings are honest and accurate. Please withhold the advice unless requested. Thanks! Eve Light has been a user of Keen since 2007. 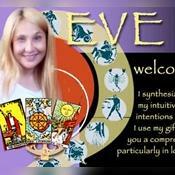 Getting Tarot Readers advice from Eve Light through www.keen.com is safe, secure and confidential.